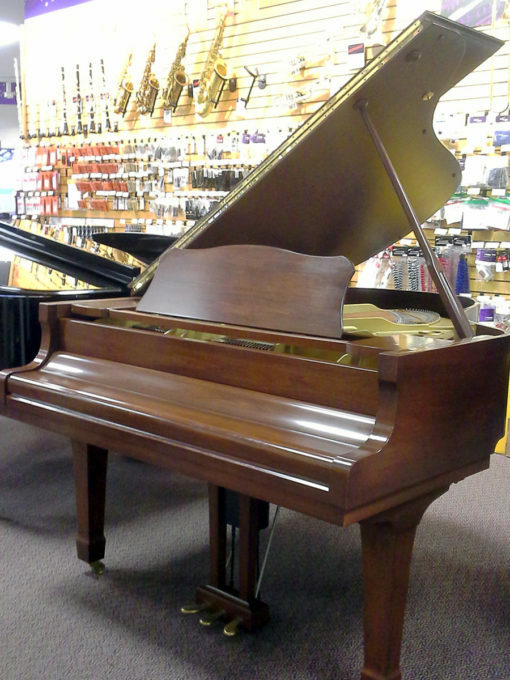 6’1″ in length, this Yamaha Model c3 boasts resonance and strength of tone as well as a fluid key action. Its Walnut Satin cabinet has a warm sheen; perfect for a living room, church or performance venue. This professional-grade piano is conservatively priced at $12,995.